Welcome to the "Finisterra Lodge". 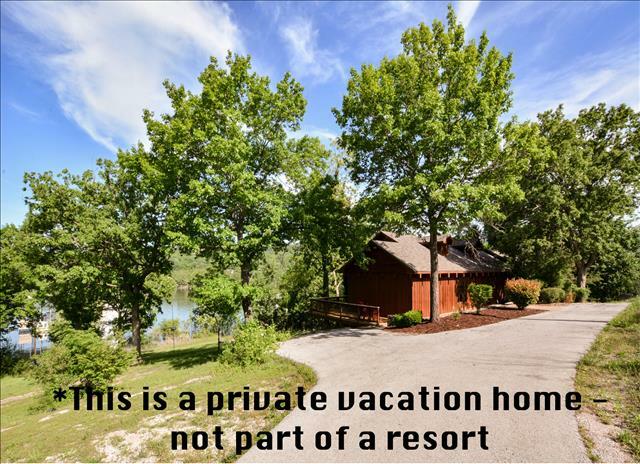 This Home is one nicest homes you will find available for rent on beautiful Taneycomo Lake. 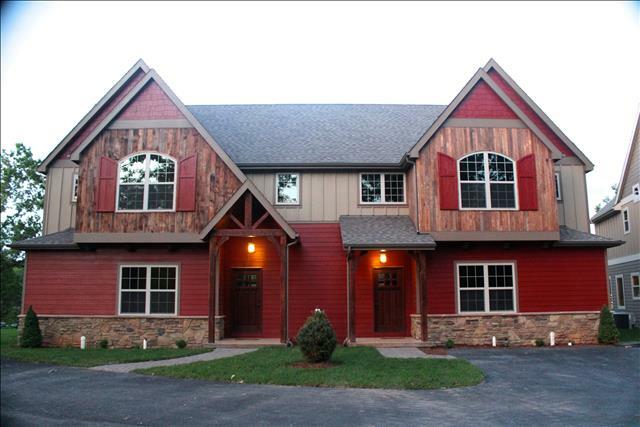 This is a FULL LOG home built with the finest quality craftsmanship and it shows. It just doesn't get any better than this! The Massive living area is truly a masterpiece! There are 20 ft ceilings with beautiful exposed full log beams, a wall of windows to view the gorgeous views of the lake, wood and natural coral stone floors, a floor to ceilings natural coral stone wood burning fireplace, a large flat screen tv, quality and comfortable chairs and couches with beautiful accent pieces all around. Hanging from the ceiling, you will notice a custom made solid wood canoe that adorns the entire living area. The separate dining space has a custom made hand crafted natural tree trunk glass table with leather seating. Just outside the living area is a relaxing sunroom with a bar and stools. You will also find many LCD TV's through out the home to watch your favorite movies or shows when the sun sets or late in the evening. The kitchen is one of a kind! It is furnished with quality custom cabinetry, granite countertops, high end stainless appliances, top of the line Viking gas stove with stainless vent hood, a deep seated hammered copper farm sink, a wine beverage under counter fridge and a custom carved wood bar that sets the tone! The chandelier is also a beautiful piece of art that hangs above the incredible kitchen area. Inside the home you will find 5 beautifully appointed bedrooms. 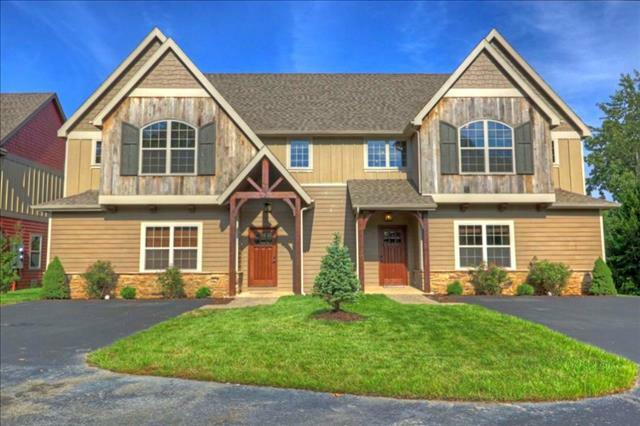 The main king master is enormous with two huge closets, full log exposed beams throughout, private two story tall stone coral wood burning fireplace, Dual sinks with huge granite vanity, a large corner jetted tub, custom stained glass window and a custom river stone shower and walkway! The other main level king master bedroom overlooks the beautiful lake through the large windows, has vaulted ceiling with solid log beams and has a full bath just right outside the bedroom door. Upstairs you will find another King bedroom with more space than ever and quality furnishings. Walk across the catwalk and you will encompass a King master bedroom with a full bath attached. Just off the garage is a small bonus room with 2 twin beds and a queen bed - this room will sleep 4 children. The half bathroom is located on the main level. Outside you will step into your own private oasis! You will find huge towering oaks and sycamore trees canopying over the beautiful patio with firepit, top of the line propane grill, outdoor dining table & a brand new Hot Springs Hot Tub. 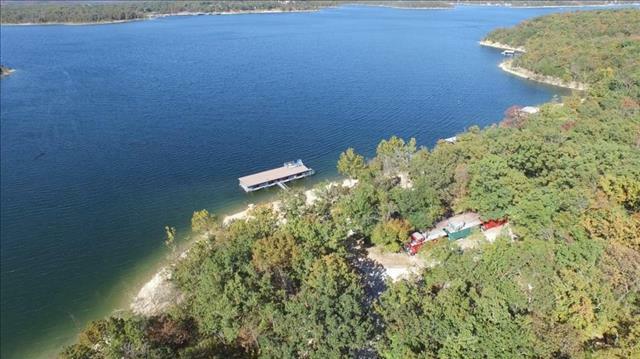 The lake is so close to your backyard patio, you can practically fish off it! Taneycomo lake is known for one of the best trout fishing lakes in the region. Flowing through the heart of Branson, Lake Taneycomo is the most diverse fishing lake in the country, sporting world-class rainbow and brown trout as well as bass, crappie and blue gill angling. But it’s most famous for its trout fishing. The current brown trout Missouri state record was caught on Lake Taneycomo on November 12, 2009. The enormous brown trout weighed 28 pounds, 8 ounces!! It was 37 inches long with a girth of 24.75 inches. So come stay with us and try your luck to hook the next State record trout fly fishing or gentle trolling down the lake. 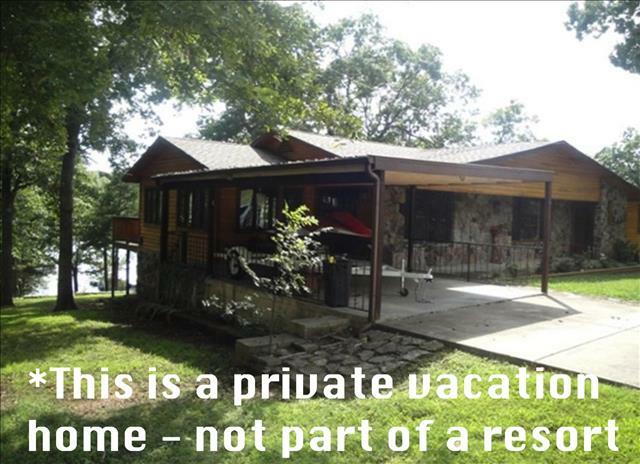 If you are looking for FIRST class accommodations on Taneycomo Lake, then look no further. You are guaranteed to be more than impressed with this beautiful home the moment you walk in.